Gary Miller recently died in a car crash. He was 73. Gary Miller wasn’t primarily a musician; he was a clergyman. As many thousands of you around here know, Gary was the senior minister at Asylum Hill Congregational Church in Hartford for 12 years, beginning in 1999. And he was beloved by that sprawling, interestingly diverse congregation. But music was as central to the mind and life of Gary Miller as it has been to any fulltime professional musician I’ve ever known. Together with his hand-picked minister of music, the tireless Steve Mitchell, Gary saw to it that AHCC became a vibrant and creative center for music-making in this city and this region. And of course, there was a steady stream of high quality music at the church’s Sunday morning services, highlighted once a year by Gary’s patented Jazz Service. The latter featured the Rev himself breaking out his trumpet and offering a spray of ebullient Dixie-ish riffs. I certainly didn’t know Gary nearly as well as many of his congregants did, but his life and mine intersected at a few points. One of those intersections, improbably, was that we were both members of the esteemed musical ensemble Duke and the Esoterics. This was a rock group of middle-aged men with desk jobs. It came together a few times a years to play charity gigs. Several things impressed me about Gary in connection with his work as an Esoteric. First, it’s not easy to find meaningful trumpet figures to play in tunes like “Little Queenie” or “Great Balls of Fire.” Gary found them. Second, the man’s sheer love of music was apparent to all of us. This was someone who clearly believed music had the capacity to make us -- and therefore the world -- better. This was, indeed, Gary’s conviction, whether the music in question was the Brahms Requiem or a couple of choruses of "Potato Head Blues." 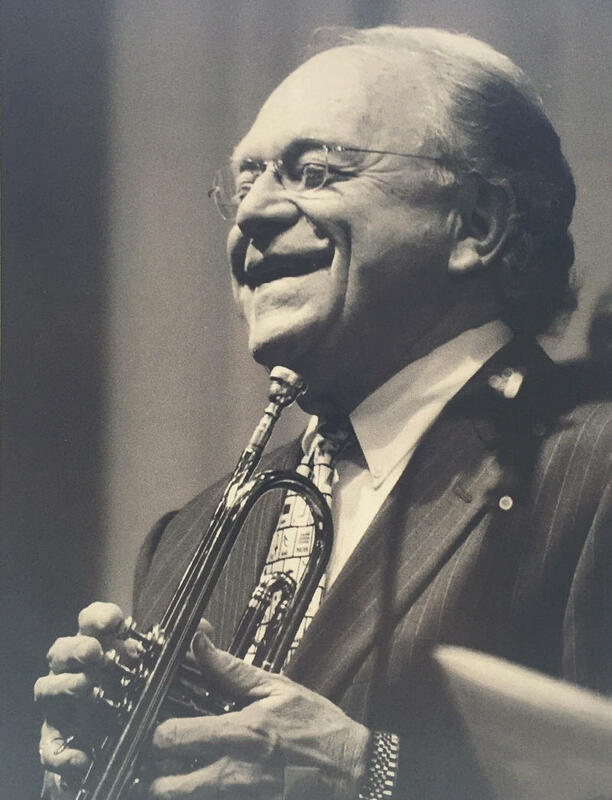 Third, at some point during a Duke gig, Gary would invariably amble up to the microphone to deliver a vocal solo on what had become his signature song, “What a Wonderful World,” the Louis Armstrong chestnut. To be candid, this had never been a particular favorite of mine – a little treacly for my exquisitely discerning taste. But Gary’s tender, smiling rendition melted my stony heart, along with everyone else’s. Gary retired in 2012, and he and his wife Beth moved out to Wisconsin. Last Sunday, as he was driving home from a church at which he had been serving as interim pastor, Gary was killed in a two-car crash. He was 73. Asylum Hill Church is working on plans for a memorial service. The plans aren’t finalized yet. But I’m going to go out on a limb and say the event will include a lot of music. Ryan Speedo Green has been enjoying a nice run. The rising young bass-baritone, who earned his bachelor’s degree from The Hartt School a few years ago, has recently been the subject of several magazine and TV profiles, including a piece just last week in People magazine. He’s currently featured as Colline in the Metropolitan Opera production of “La Boheme,” for which he won a fistful of critical raves. And a book about his improbable life journey, Sing for Your Life, is a New York Times bestseller. Check out Ryan’s website: ryanspeedogreen.com. I’ve been listening, in short bursts, to songs from the new album by Leonard Cohen, “You Want it Darker.” I offer this observation: when Cohen put out his first album – yes, the one with “Suzanne” on it – we were all kind of hypnotized by the voice itself. Deep, weary, affectless – it was a voice that made Dylan sound like Vic Damone. The new album takes that voice, now belonging to an 82-year-old man, and drives it down at least an octave. In fact, several times Leonard reaches what is generally considered the practical floor of the male singing voice range: low C, two octaves below middle C.
Off the top of my head, I can only think of one example in pop music where this note is attempted -- the male backup voice in Elvis Presley’s “Now and Then There’s a Fool Such as I.” I’d be happy to hear of other instances. Opera Connecticut (the company formerly known as Connecticut Concert Opera) presents two performances of Humperdinck’s “Hansel and Gretel,” November 4 and 6 at Hoffman Auditorium at the University of St. Joseph in West Hartford. Opera Connecticut’s Artistic Director Doris Kosloff will conduct, with an orchestra made up of members of the Hartford Symphony. Also featured will be Boy & Girl Choristers of St. James’s Episcopal Church in West Hartford. Sondra Kelly directs the production; Vaughn Mauren is the chorus master, and Stephen Pier is the choreographer. Tickets: showclix.com or (888) 718-4253. The Jam, sorry to say, added Bobby Vee to its ranks last week. Vee, 73, had been an early 60s pop idol on the strength of “Take Good Care of My Baby,” “The Night Has a Thousand Eyes,” “Run To Him,” and several other Top Ten hits. 1. He filled in for Buddy Holly on tour after Holly’s small chartered plane famously crashed in a cornfield outside of Clear Lake, Iowa in February of 1959. 2. Shortly thereafter, when Vee assembled his own band in Minnesota, he hired an inexperienced young pianist who went by the stage name of Elston Gunn. The pianist quit after a month or so, moved to New York City and changed his stage name to Bob Dylan.